Before you begin working your way to foreign language fluency, it helps to understand the culture behind the language you’re learning. After all, language exists to help a group of people express their ideas and beliefs. France is an old country with a rich history and culture. As you begin your French language program, gaining a strong grasp on this history, the values, and the etiquette will help you rapidly achieve success. In particular, if you’re going to do business in France, then it’s important to know the proper etiquette behind building French business relationships. French managers are technocrats above all else. A French manager is his or her company’s charismatic leader. French managers are masters of detail and place a significant amount of importance on organizational skills. Additionally, they usually have a high education. They expect to have data at their fingertips, as opposed to British or American managers who may only request estimates. French managers are also very detailed oriented, where British or American managers are more focused on end results. Those who lead French companies are called “Président-Directeur-Généraux,” or “PDGs,” and an authoritative management style is expected. PDGs are often aloof from other managers, although a key factor among French colleagues is a common background. Many have attended prestigious schools and some may have a government background. These characteristics create a strong hierarchy and sense of formality in French companies. The hierarchy is upheld and socializing among bosses and junior colleagues is not common. However, this hierarchy style has some negative effects on efficiency: managers do not delegate, and workers are sometimes unmotivated. One English manager was disgruntled when working at a French company and said meetings were simply to instruct, rather than discuss. The value of charismatic management is, in part, the manager’s ability to motivate workers by adequately communicating a vision and acknowledging that employees’ input is valuable, which makes them want to work harder. Quick decisions are not generally made by PDGs, and arguments among colleagues often center on intellectual factors, rather than creative or pragmatic solutions. This is because the French are naturally suspicious of easy solutions and shy away from taking risks. A publishing firm located in the United States was in the process of negotiating a major publishing contract with a company in France. The contract was ready to be signed during the last week of July, and the American executive was preparing to book a flight to France to obtain the signature to close the deal. He was quickly informed by the French executive that he was leaving for his yearly family holiday in the South of France. Anxious to complete the deal, the American publisher insisted that his French counterpart delay his trip and leave a week later or simply return to Paris for one day just to sign the contract. The executive from the United States then flew to Paris, assuming that the French publisher would show up. Unfortunately for the American publishing firm, the contract was never signed by the French executive because he chose not to put his holiday on hold, and ultimately the deal was lost. Overall, French executives prefer to conduct business with executives in their own country. This is because merely doing business is not enough for professionals in France. They believe it is essential to create positive, long-term working relationships, and make this their primary focus. For a French business professional, becoming part of a network is equally as important as conducting business. This is why you need to create trust as a foreigner, and the best way to do so is through a common passion or interest. However, this means that you must make conversations about business secondary to relationship building. The manager of a French company’s HR department invited thirteen training firms to bid for a large contract. All of them responded, but only three followed up later in a personal, direct way. By not reaching out to build a direct relationship, ten of the bidding companies earned a quick rejection. “Only three followed up by asking to come and see me,” the HR manager explained. One of those three was ruled out after lecturing the manager on the quality of the initial proposal. French business managers are not fond of being corrected by a company bidding for a lucrative project, and this is a sure-fire way to end up in the “non” (“no”) pile. Building a personal connection early is extremely important when doing business with the French. While the French are certainly passionate and opinionated people, they do not embrace meaningless small talk. Sometimes you’ll notice they can have a short attention span. If you find their interest seems to be waning, try bringing up an off-the-wall topic or a debatable “in-the-news” issue to liven things up. If your French business associate feels deeply about the subject at hand, you will find much more success in communicating. Their volume may increase, and they may speak faster with lots of hand gestures. They might even interrupt. These are all signs that you have gotten their attention and they are enjoying the conversation. Try to find a common interest. Don’t be afraid to ask about the local area and life outside of the business world. 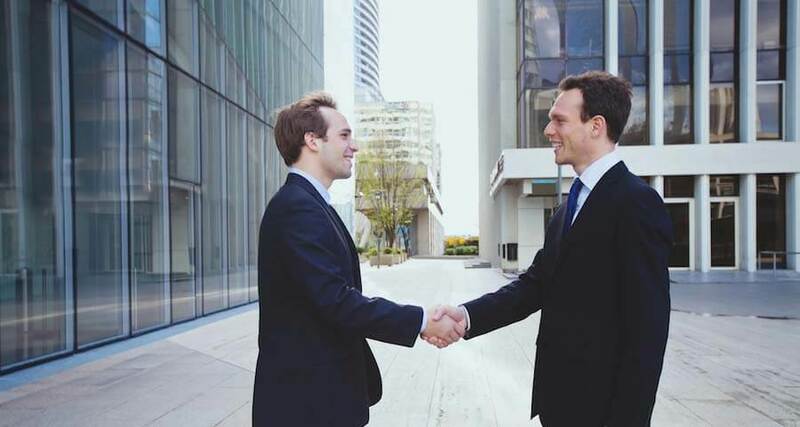 While building an amiable bond with French business people is important, it is crucial for you to understand the difference between a friendly business relationship and informality. Americans and British people are faster to ease into informality than the French. It’s not that the French are snobby, it’s just their culture, and taking care to demonstrate respect for your French business associate and the French “way” will help you win them over. Never call a French colleague by his or her first name unless invited to do so. If you speak French, always use the formal “vous” for “you,” never the informal “tu.” Refer to your French business associate as “Monsieur” or “Madame” until you are certain this is no longer needed. Take your cues from them, and make no assumptions. While it is acceptable to express interest in a pet or hobby, this doesn’t mean it is acceptable to pry into personal matters or ask invasive questions about family. Always show impeccable manners. Think of your French colleague as the most important person in the world, without overdoing it. Say “please” and “thank you” every chance you get. Defer to their choice of restaurant or café, unless they make it clear they want you to choose. If you are handed a business card, look it over with sincere interest and put it in your wallet as if it is a priceless diamond. Always hold entry and elevator doors for women and senior colleagues, allowing them to pass first with you following behind. There is a very close link between French government and business. In reality, it is so close that ministers of French government may find themselves involved in industry, and those in the business world may find themselves involved in government. French people have a word for this association, “pantoufler.” Both conservative and socialist ministers may be required to shuffle between the two political philosophies. The reason for this, in part, is that top French industry and government figures often have similar educational backgrounds. For instance, they may have both graduated from the prestigious Grandes Écoles. A top role of central government in France was traditionally to protect industry. However, EU rules have modified this through privatization and decentralization. The latter has had several effects, one of which is that decisions concerning local production plants are now made by commune, city, or local departments. Currently, a local Chamber of Commerce may be required to act as an intermediary between local and foreign businesses, rather than a traditional notary whose services are costlier, but whose rates are government-regulated. The state has become increasingly aware of the pressure on the public purse, which the state has essentially caused by its major involvement in infrastructure and national enterprises. Therefore, there is a significant move to create joint ventures with foreign companies and privatize portions of state industry. Finally, European Union regulations have frowned upon protectionism, opting instead to embrace foreign investment. As France deregulates, modernizes and privatizes, what will the effect be on the style of management in France? What Is the Education System Like in France?